You can choose up to 6 different seasonings (2 each) to build your very own custom case. Total case of 12 small seasonings (weights may vary depending on seasoning). A great spice to use in many recipes. I have been using this garlic blend for a few years. Came across them at a food show one year. I lvoe all the varieties. I just wish I could get all 5 blends in a case. as in 2 of each of the 5, And since a case is 12, then two blends get a third bottle each! Loved the mix and match Seasoning Case of 12 jars. Usually buy this at our Fair, but did not make it this year. So happy to buy many bottles of the one's we were running low on. Use the Lemon and Mesquite Garli Garni's daily. Use the Lemon Garli Garni on vegetables, fish, salads, etc. Love the new Smoked Garlic Sea Salt and use it all the time now too. Would like a little more flexibility in how many of each kind. 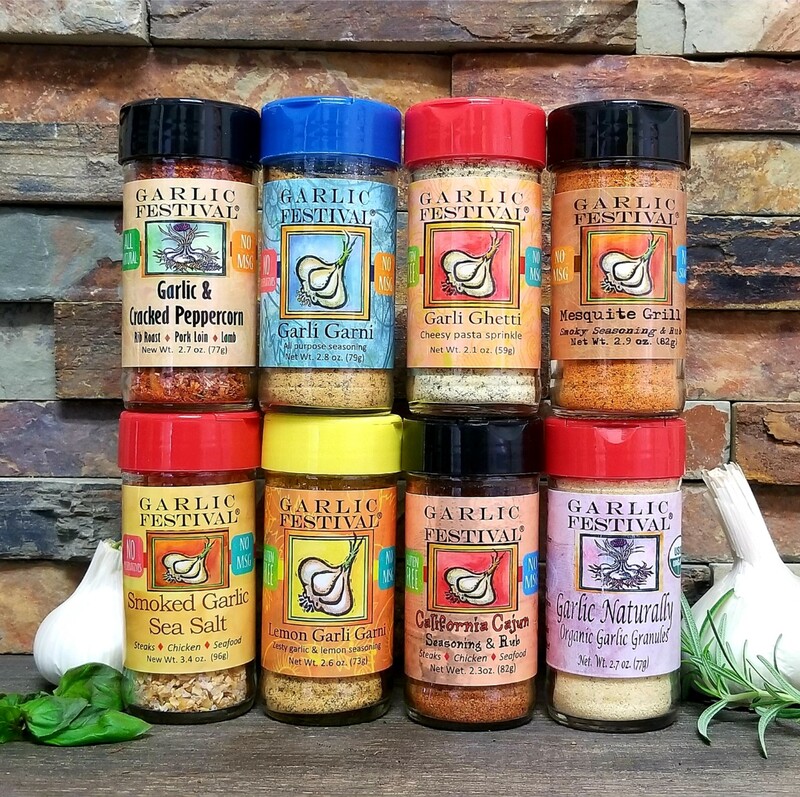 I received Garli Garni as a gift and loved it, which is why I bought more after it was all gone and decided to buy a mix-n-match and bought the roasted organic pieces as well as the mesquite grill. I use the Garli Garni almost every day on my eggs and many other breakfast items to give it flavor without the use of salt. I love it we have not yet used the other two but I am certain they will be just as good. We found these spices on a trip to Az. They are all very good on any kind of meat. We don't use any other spices. A very good find.